Congress-Center and Westphalia-Halls Dortmund - 1525699244s Webseite! The Westphalia-Halls and the Congress-Center in Dortmund are among the top exhibition locations in the Westphalian region, equipped with modern technology and excellent connections to airports, railway stations and freeways. Directly connected to the Congress-Center is the “Mercure Hotel Dortmund Messe und Kongress”. Additionally, there are many more hotels within walking distance to the conference. 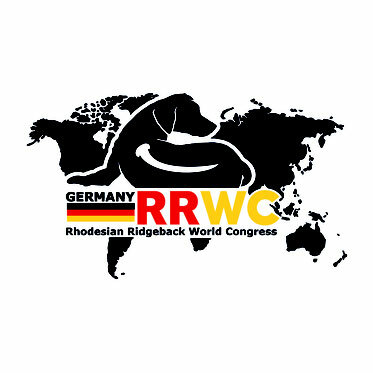 The convention of the RRWC is planned in the “Goldsaal” (Gold-Hall) of the Congress-Center. The “Goldsaal” offers an outstanding and modern ambience for the planned event and offers sufficient space. Of course, our four-legged guests may participate in the conference too. The “Goldsaal” is equipped with the most modern technology and thus offers the possibility of a simultaneous translation of the event into the German language. In front of the lecture room there is a spacious foyer – “das Forum” - which is used during the breaks for snacks, coffee and tea. Here is a sociable atmosphere, where there is also the possibility in this generously large area for breeding clubs and sponsors to present themselves to the participants. 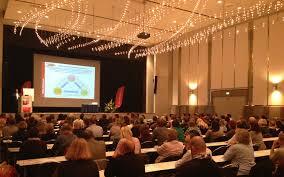 The “Goldsaal” is also ideal for the planned evening event for the second day. We are looking forward to interesting guests this evening and, above all, we are looking forward to welcoming you in this ambience. In all conference rooms dogs are welcome. Open from 9 to 11 pm, walks only allowed on leash. Kemnader See: parking at the golf course, adress: "In der Lake 33, Bockum-Witten", and follow the paths. Nature Reserve "Rheinaue": parking "Reinaue", adress: "An der Königsstraße, Duisburg-Walsum"
The venue Dortmund is located in the heart of the Ruhr region. The “Ruhrgebiet” is a real metropolis: more than five million residents make it the third largest conurbation in Europe. In this region with its 11 cities, there is always something going on: festivals, museums, music, theater, literature, history, sports etc. The Ruhr region offers a huge variety of interesting people, places and sights.